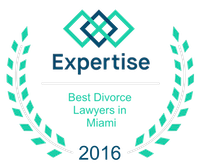 The Divorce Process | Miami Family Law Lawyers Vilar Law, P.A. The divorce process can take as little as a few months to as much as several years. The length of time will depend largely on the complexity of the issues involved and the litigiousness of the parties. The more the parties cooperate and agree, the less time-consuming and expensive their divorce will be. The process begins when you hire our firm by signing a contract for legal services. We immediately send you a welcome letter with an introduction to some of the work which you, as the client, must do to enable us to assist you. The first thing you must do is gather various documents to furnish to the other side. We draft the initial pleadings to be filed with the court, and we schedule an appointment to review the documents with you before filing the documents with the Court and serving them on your spouse and his or her attorney. Once your spouse has been legally served with the divorce petition, he or she will have 20 days to respond. Under Florida law, the parties are required to make full financial disclosure to each other in order to enable each party to make informed decisions regarding their legal rights. The Court will require us to attend non-binding mediation, at some point, where a majority of all cases are resolved. We thoroughly review all the legal issues in your case with you, as well as all of the documents and information provided to us before attending mediation so we are fully prepared to make the most of this settlement opportunity. Part of the preparation for mediation includes providing the client with a frank assessment of his or her case in order to come up with a strategy for mediation, which will maximize the client's legal position in the eyes of the other side and lead to the desired outcome. If mediation is successful, we then draft and sign a marital settlement agreement incorporating the parties’ agreement. At this point, the litigation stops, and we only have to attend an uncontested final hearing with the judge to formalize and approve the settlement agreement and obtain the Final Judgment of Dissolution of Marriage declaring the parties to be divorced. If no agreement is reached, the matter is scheduled for trial so the Court can decide the pending issues. Litigation can be very expensive and emotionally draining. More importantly, litigation can adversely affect minor children directly and indirectly. That is why, at the law office of Vilar Law, P.A., we continually explore and consider all reasonable and possible compromises during the course of the case. We have more control over the process in this way and can make sure the unpleasant task of dissolving a marriage is handled as humanely and dignified as it can be.